Location, Location! 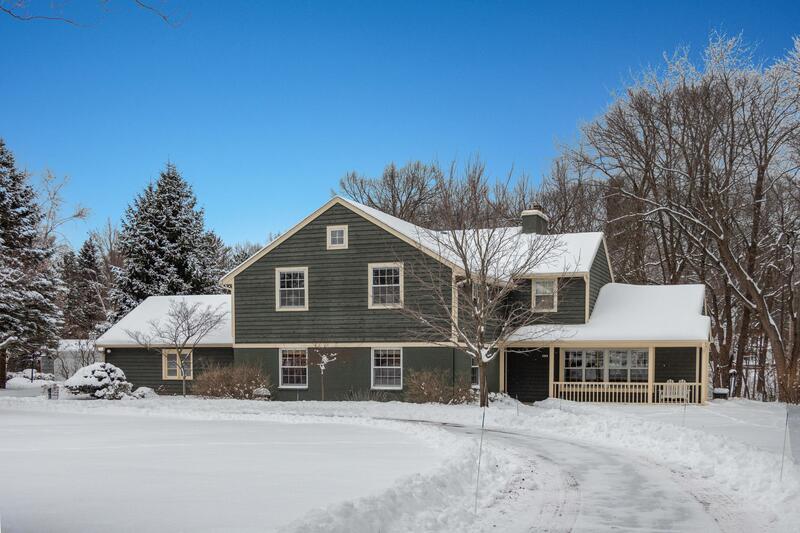 Fantastic, spacious home on 3/4 acres of wooded privacy abutting the ravine. Formal living room and family room. Open concept remodeled kitchen with breakfast bar, granite countertop, custom cabinetry and natural fireplace. Large foyer entrance, formal living room, main floor office and dining room. 4 bedrooms upstairs plus upper landing office nook. Large master bedroom with oversized closet. Master bath walk in shower, large dual sink vanity. Plenty of storage, lower level rec room. 3 season sunporch, great backyard, circle driveway. Move in ready, welcome home!